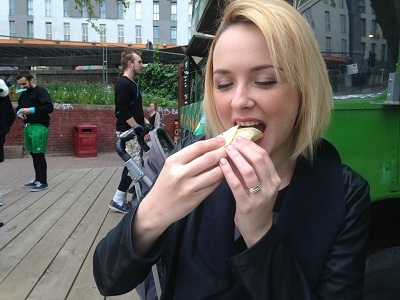 Tacos from a double decker bus in the middle of a roundabout - how Bristol?! 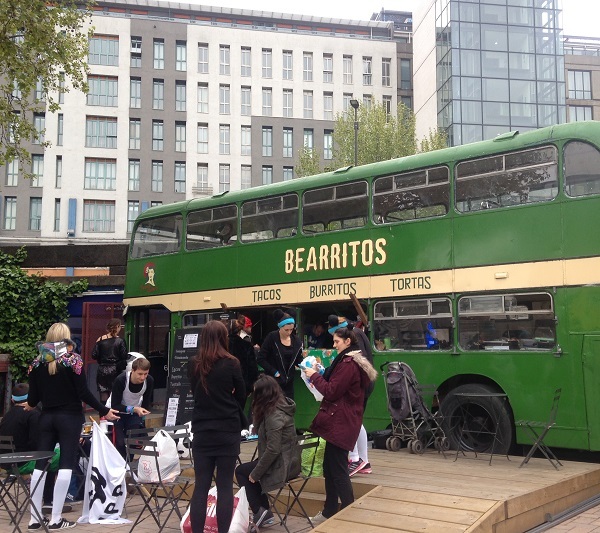 Bearritos serve fresh burritos, tacos (gluten free), desayunos and tortas from the side of their refurbished double decker bus. There is seating in front or on the top deck. It's definitely a unique dining experience but Bearritos don't just rely on gimmicks or passing trade. 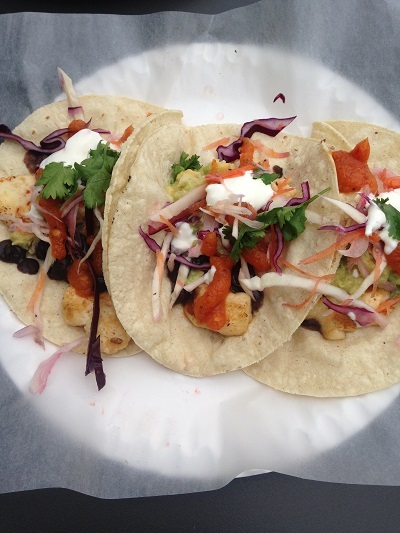 The food is good quality, freshly prepared and the fillings are well thought out so that any combination you go for is fantastic. 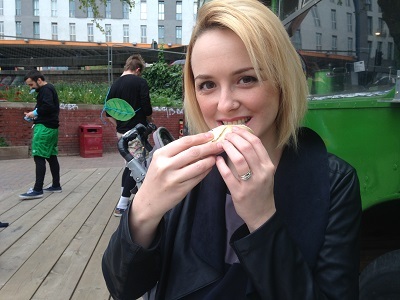 I also love that the fillings and sauces are a bit different to the Mexican food you can find elsewhere. 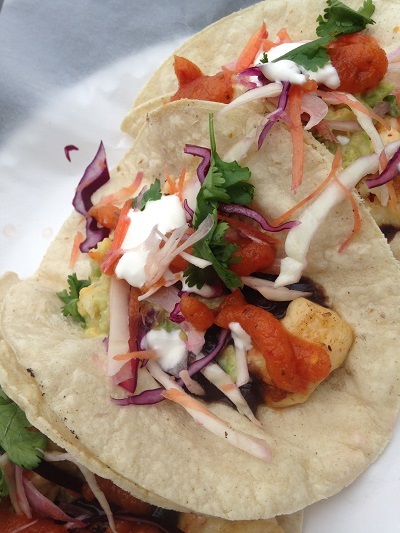 My gluten free tacos were filled with a fresh coriander salad, grilled halloumi and a scotch bonnet sauce. They were soft, crunchy, spicy, creamy and completely moreish. 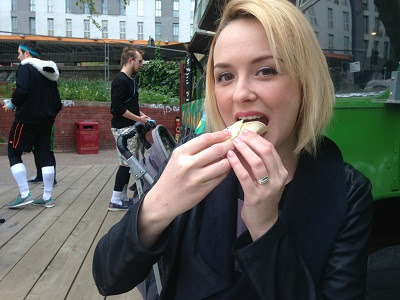 Even though I was happily full, I still wanted a few more so I could try some of the other fillings. They often serve specials of the day too, and many of the 'snacks' are also gluten free such as the cheesy quesadillas. You can very easily go vegan too. Just ask the staff, they are very happy to help. 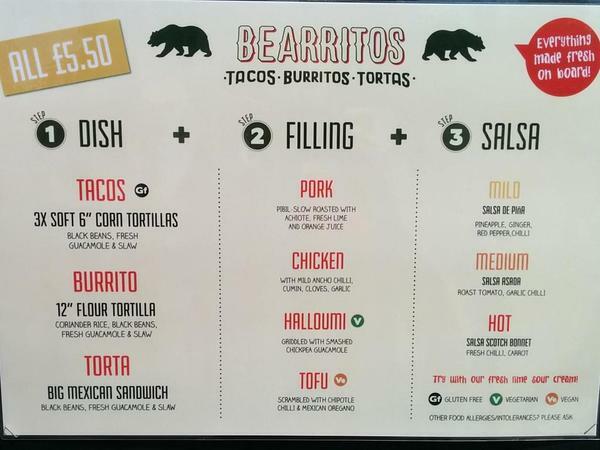 Bearritos is an amazing addition to the newly improved Bear Pit (the site is receiving a £1 million makeover). And it rightfully takes pride of place in what is becoming a new culinary mecca for Bristol. The Bear Pit Social (cafe) serves toasties and ciabattas to hungry workers, as well as exciting and unique salad boxes which can be made gluten free and vegan. The adjoining covered area known as Haymarket Walk is already home to Matilda's (GF chilli con carne), long standing Mayflower (authentic Cantonese) and in July, a small plates vegetarian restaurant called Flow. The Bear Pit is quickly becoming the most exciting thoroughfare in the UK!